Calling all prospective, new or long-standing North Cornwall Volunteer Surf Mentors! The next North Cornwall Surf Mentor Volunteer Training date is all set for Saturday 21st July 2018 from 11:45am-2pm at Summerleaze beach (EX23 8HJ). If you don’t have a wetsuit, it’s not a problem, just get in contact with Svenya and she will arrange this with the partner Surf School. Depending on conditions, we plan on celebrating our Spring and Summer courses with a Superhero Surf after the training…so get your fancy-dress outfits at the ready! 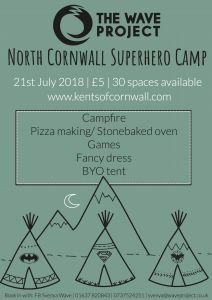 Finally, Kents of Cornwall have kindly offered to host an evening of: pizza making; games and camping. If the surf conditions aren’t suitable, we will pop on our fancy-dress outfits in the evening instead around a camp fire to celebrate an awesome start to the season. Sunday 22nd July 10:45am-1pm is the final Summer 2018 session so join the team for the last Surf Therapy session back at Summerleaze. 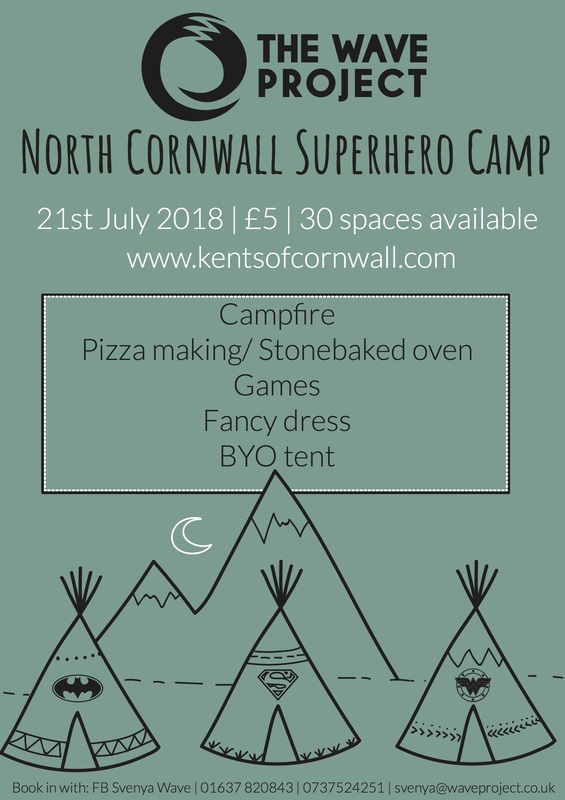 Please note that if you are under 18 years old you will need to be accompanied by an adult and this is for volunteers who have helped out with the North Cornwall project. The cost of £5 is towards the pizza making and any profits will be passed on as a donation to The Wave Project. Please bring your own tent and there are enough spaces for 4 vans.